Fig. 1. 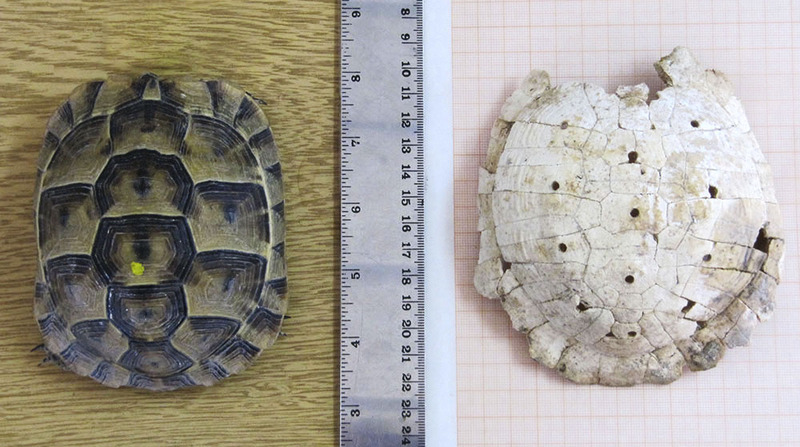 A live tortoise (T. graeca) juxtaposed next to Carapace 1. Fig. 2. 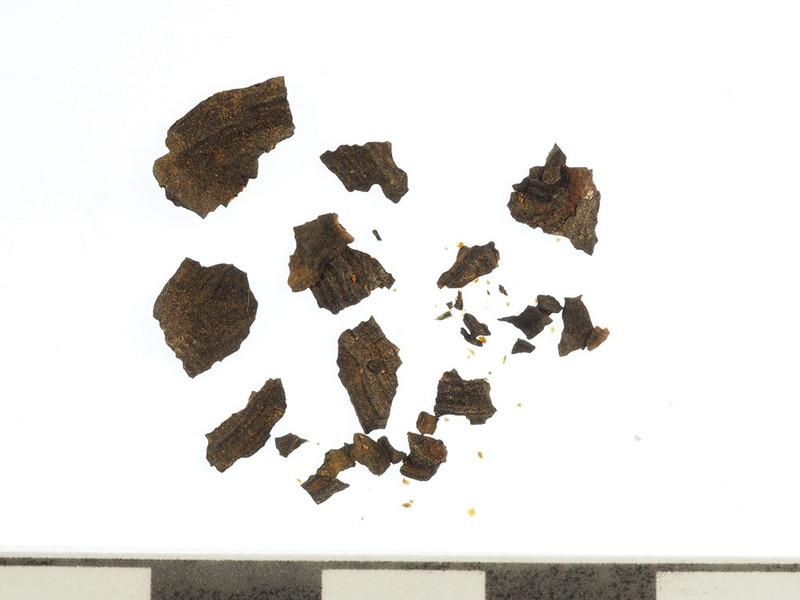 Fragments of keratin scutes found together with Carapace 2 (G. Bieg; courtesy Penn Museum, Gordion Project Archives, image no. 2014-5312). Fig. 3. 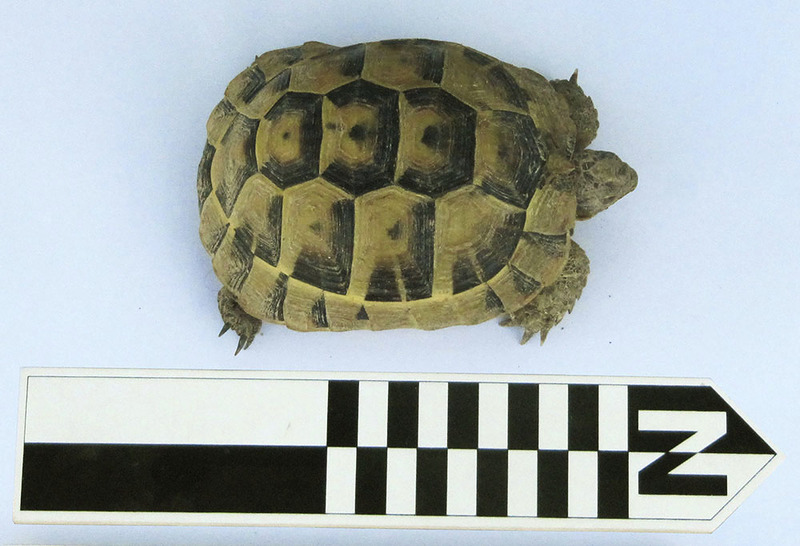 A modern tortoise (T. graeca), comparable in size to Carapaces 1 and 2, spotted on the Northeast Ridge at Gordion. Fig. 4. The Bakery in Southwest House, facing north with the grindstones displayed against the scarp. 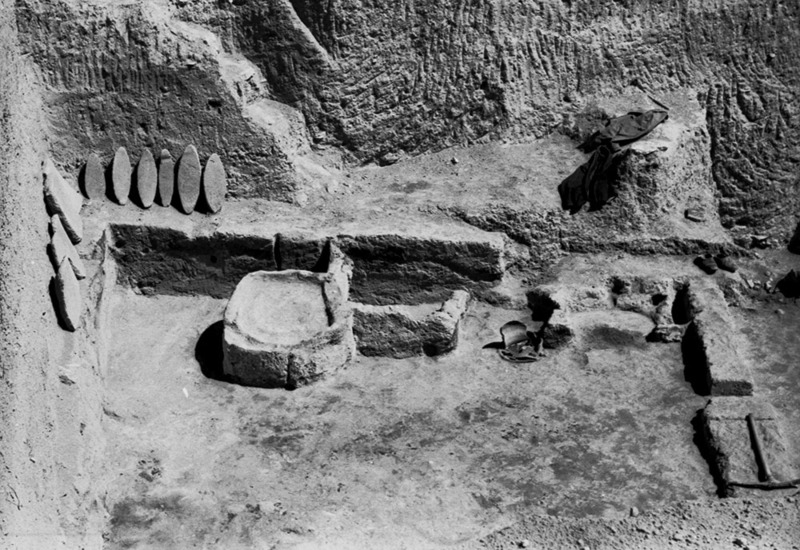 From west to east are the kneading trough, storage bin, and two ovens (courtesy Penn Museum, Gordion Project Archives, image no. GR 66-10). Fig. 5. 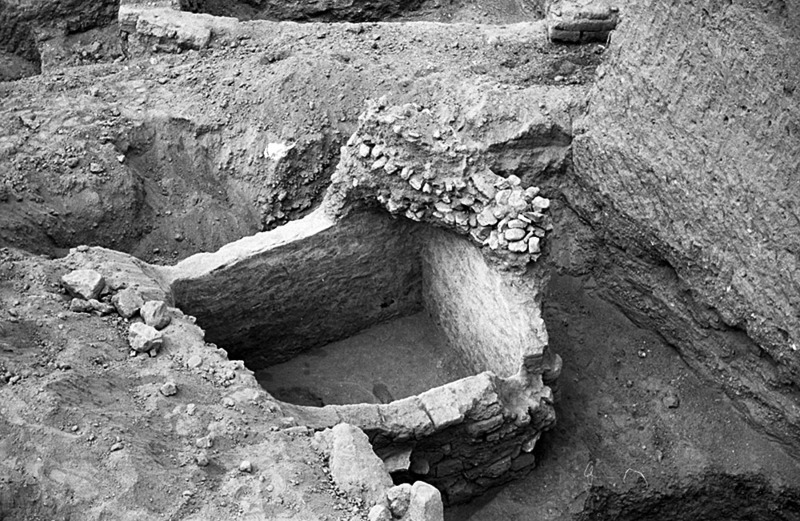 The Mudbrick Vault with one of the radial guide walls of the tumulus left unexcavated above its southwest corner (courtesy Penn Museum, Gordion Project Archives, image no. GR 62-25). Fig. 6. 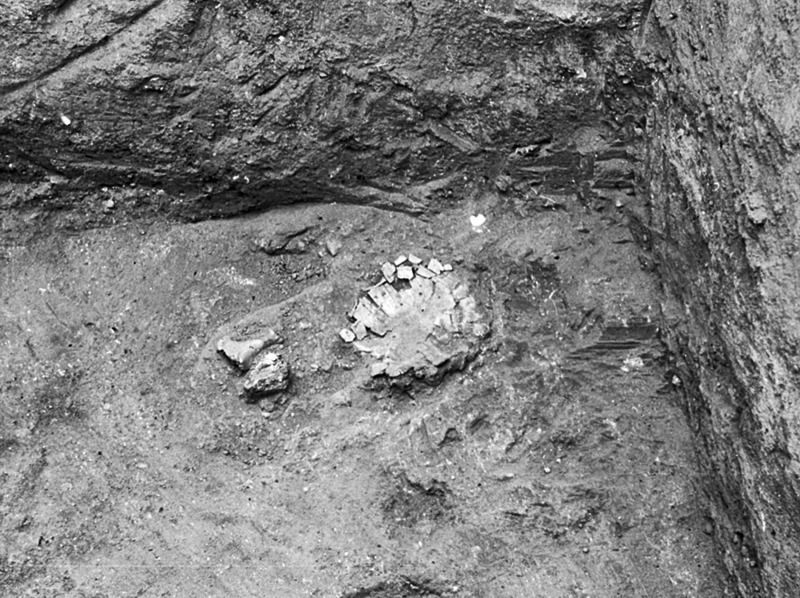 Carapace 1 in situ, upside down in the fill of the Mudbrick Vault during excavation (courtesy Penn Museum, Gordion Project Archives, image no. GR 62-19).